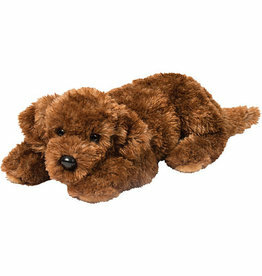 17" long Fudge the Chocolate Labradoodle in the all new floppy and realistic design! Under stuffed and overly endearing these stuffed doodle pups can't wait for you to hug them! Ultra soft materials.